Are you tired of browsing through the web to find the best graphic design blogs for your daily dose of creative inspiration? For sure, there are countless inspiring design resources out there but finding the ones that provide only the best selection of creative work can be a difficult task. That’s why today we want to show you our handpicked selection of 10 best graphic design blogs for your inspiration in 2019. The following blogs mainly focus on current and forthcoming trends as well as uniqueness and creativity in different ways. Edited and written by Armin Vit, Brand New is a division of the graphic design firm UnderConsideration. The blog provides opinions on a wide range of brand identity work. They mostly cover projects realized by companies, freelance designers, and organizations from all industries and locations. 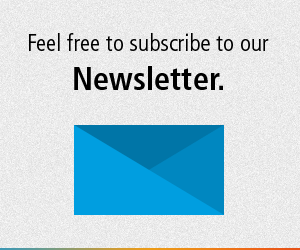 During the last years, Creative Bloq has grown to one of the best known platforms for creative professionals. With a great mix of tutorials, reviews, buying guides, news, and inspiration, they are a daily destination for web designers, graphic designers, 3D and VFX artists, illustrators, and more. Established in 2011, Mindsparkle Mag is dedicated to promoting the finest from the fields of design, web design, and motion graphics. In addition, their various categories cover a wide range of creative fields including graphic design, branding, photography, art, interior, product design, and architecture. Founded by Richard Baird, a British freelance designer and writer, this blog is a well-curated source of highly inspiring work including brand and packaging projects from around the globe. Thanks to high-quality imagery and numerous analysis, this blog is the right destination for all designers working in the creative fields of branding and packaging. SwissMiss is an internationally renowned design blog founded in 2005 by Swiss graphic designer Tina Roth Eisenberg. Everything has started as a personal visual archive. Over the years, her blog has grown into one of the world’s most popular design journals. The name says it all—this is a showcase focusing on exceptional brand identities. They provide a curated selection of designs from hundreds or talented designers and leading studios from all over the world. Founded in 2007, It’s Nice That reaches more than a million people each month across multiple platforms. Their aim is to make creative inspiration accessible to everyone by showcasing the most outstanding work online, in print, and through various events. Adobe’s online magazine is not just a great source of inspiration for graphic designers. Available as bog and mobile app, this is the perfect resource for tutorials, graphic design, web design, photography, illustration, motion graphics, and other creative fields. Eye on Design provides a great mix of highly creative work. Originally started as a print magazine in 1980, Creative Review has coped quite well with the digital transformation. Today it’s one of the world’s leading multi-media channels for graphic design and advertising. Their blog delivers expert analyzes, opinions, and advice for today’s international creative community. 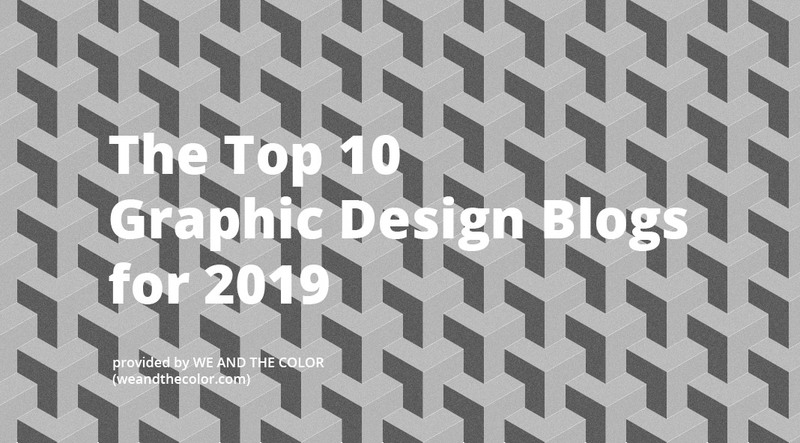 Outside the rating of our top ten graphic design blogs for 2019, WE AND THE COLOR is an award-winning online magazine founded in May 2010 by German graphic designer Dirk Petzold. With a focus on various creative fields including design, art, photography, architecture, illustration, fashion, motion graphics and filmmaking, WE AND THE COLOR is a daily source of inspiration for creative professionals from all over the world. We And The Color is the number one! Creative Review requires a subscription of about $140 US dollars—no thanks. Not the biggest, but the finest selection! Thank you very much! A very perfect guide to follow, I have enjoyed reading them. So many links at one platform helped me to get a quick insight without wasting much time in exploring these graphic design blogs manually. Thanks for sharing all of these great resources. Thank you! Very good list. This is a very necessitous blog for us. This must be an essential blog for all designers. Thank you and we are happy for you.